Hunter Meighan, attorney and politician, Mamaroneck, N.Y., on June 9, 2008. Meighan was born on May 8, 1914, in Mamaroneck. At the College, he was a member of Alpha Delta Phi. Meighan earned a law degree from NYU in 1939 and was a partner until his death in the Mamaroneck law firm of Meighan & Necarsulmer. Meighan was acting police judge in the Village of Mamaroneck from 1945–49, when he resigned to run for the New York State Assembly. He served as an assemblyman from 1950–59 and a New York State Senator from 1960–64. In 1967, he was elected a delegate to the New York State Constitutional Convention. He also was a director of the Knickerbocker Federal Savings and Loan Association and of the Larchmont Federal Savings and Loan Association. Meighan was Honorary Trustee of the New York United Hospital of Port Chester, having been a trustee for 17 years. He is survived by his wife of 57 years, the former Miriam Gay; daughters, Gay Corning, Sasha (Lynn) Laing and Marcia Abbott; and seven grandchildren. Memorial contributions may be made to the Boy Scouts of America Westchester-Putnam Council or a charity of the donor’s choice. Francis D. “Frank” Milner, retired teacher, coach and director of athletics, Sarasota, Fla., on May 17, 2008. Milner was born on August 6, 1915. His schooling included Cliffside Park H.S., Columbia from 1932–34 and Trenton State College from 1934–37. He played basketball and tennis at each. Milner served in the Navy from 1942–45. A lieutenant, he spent most of his time on the USS St. Paul in the Pacific; he participated in the 3rd Fleet’s Japan surrender on August 2, 1945. Milner was a Phi Gamma Delta at Columbia and at Trenton State. His coaching career began at Cliffside Park, where he worked for nine years. Milner, a member of a number of sports organizations, was inducted into the Cliffside Park H.S. Hall of Fame and New Jersey Athletic Hall of Fame. After relocating to Florida in 1974, he taught business education at North Fort Myers H.S. until 1987. Milner was predeceased by his wife, Catherine (Kay); and a grandson. He is survived by his sons, Robert, Roger and Tom; eight grandchildren; and six great-grandchildren. Memorial contributions may be made to The V Foundation for Cancer Research, 106 Tower­view Ct., Cary, NC 27513. Rene P. Manes, retired professor and academic, Tallahassee, Fla., on June 15, 2008. Born in Yonkers on January 22, 1918, Manes earned a B.A. in French and an M.A. from Southern Methodist University. He was hired by the U.S. Engineers to go to Kingston, Jamaica. Manes later joined the Navy and was sent to Harvard for ensign training. He served in England, Scotland, France and Germany as a supply officer. Upon returning from Europe, Manes and his family moved to Dallas, and he taught at SMU while taking courses to become a C.P.A. In 1948, Manes was employed by Atlantic Refining to become an accounting executive in Caracas, Venezuela. In 1958, dictator Perez Jimenez was overthrown, and Manes moved his family to West Lafayette, Ind., to take courses at Purdue for a Ph.D. He began teaching accounting there and became associate dean of the Krannert Business School. Manes was dean of the Business School at Arizona and taught full-time at Illinois and part-time at Florida State before retiring in 1995. He is survived by his wife, Dorothy; sons, Kenneth and Anthony; and three grandchildren. Memorial contributions may be made to Big Bend Hospice, 1723 Mahon Center Blvd., Tallahassee, FL 32308-5428. Arthur R. Albohn ’42 Arthur R. Albohn, retired politician, Whippany, N.J., on June 29, 2008. Albohn was born in Ridgewood, N.Y., and graduated from Stuyvesant H.S. He earned a B.S. in 1943 from the Engineering School. Albohn worked for Goodyear during WWII. In 1950, he and his wife relocated to Whippany, where he worked in research for Celanese, later as assistant manager of Rayonier, and as project manager and consultant for Komline Sanderson Engineering. Albohn was elected to the Hanover Township Committee in 1954, serving for 33 years, including five as mayor. He was elected in 1980 to the New Jersey State Assembly, where he was an advocate for preservation of open space and voiced the importance of environmental concerns, including recycling. He retired from government in 1996 and recently was inducted into the Elected Officials Hall of Fame of the New Jersey League of Municipalities. Albohn is survived by his wife of 64 years, Regina; children, Adrienne Ann Landgraf, Douglas, and Daniel ’81 and his wife, Nancy Woychik; two grandsons; two nieces; and two nephews. He was predeceased by a sister, Marjorie Kropotkin. Memorial contributions may be made to Alzheimer’s Association, 400 Morris Ave., Denville, NJ 07834, or the First Presbyterian Church of Whippany. Charles L. Brieant Jr., retired chief judge, Ossining, N.Y., on July 21, 2008. Brieant was born in Ossining on March 13, 1923. He entered the College with the Class of 1944 but due to service in the Army Air Forces in WWII graduated in 1947. Brieant then earned a degree in 1949 from the Law School. From 1949–71, he was, successively, an Ossining town justice, a Westchester County ADA, the Briarcliff Manor village attorney, an Ossining town supervisor and a Westchester County legislator. President Nixon appointed Brieant to the federal bench in 1971. He was chief judge from 1986–93, and remained a judge until 2007, with the U.S. States District Court for the Southern District of New York. Brieant helped pave the way for the construction of the federal courthouse on Foley Square in Manhattan, which opened in 1994, and for a new courthouse in White Plains, N.Y., which opened in 1995. He is survived by his wife of 60 years, the former Virginia Warfield; son, Charles III; daughters, Cynthia Hendricks, Julia Clavette and Victoria; nine grandchildren; and two great-grandchildren. Memorial contributions may be made to the Ossining Historical Society, 196 Croton Ave., Ossining, NY 10562. Columbia College Today also has learned of the deaths of the following alumni. Complete obituaries will be published in an upcoming issue, pending receipt of information and space considerations. 1933 Carroll F. Marquard, Rancho Santa Fe, Calif., on May 9, 2006. Henry D. Janowitz, gastroenterologist, New York City, on August 19, 2008. Janowitz earned a degree in 1939 from P&S. John S. Weeks, Dublin, Va., on December 10, 2007. 1936 Robert M. Hecker, motel owner and developer and retired Army Reservist, Sausalito, Calif., on September 20, 2008. Hecker entered with the Class of 1936 and earned a B.S. in 1936 from the Engineering School. 1938 Juan de Zengotita, retired Foreign Service officer, Manchester, Vt., on September 3, 2008. 1942 Carl F. Bauman Jr., retired U.S. Customs agent, Middletown, Pa., on September 4, 2008. 1943 Louis R. Gallagher, attorney, Unionville, N.Y., on July 19, 2008. Andrew T. Furey, retired surgeon, Bronxville, N.Y., on June 21, 2008. Everett J. Roach, senior executive, Solana Beach, Calif., on August 18, 2008. Roach earned a B.S. in 1947 from the Engineering School. 1945 Donald K. Corwin, optometrist, Jacksonville, Fla., on March 26, 2007. Corwin entered with the Class of 1945 but earned a degree in 1950 from the Optometry School. 1946 Joseph P. Martocci, retired ob/gyn, Babylon and West Islip, N.Y., on August 20, 2008. 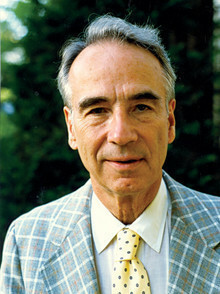 1947 Leonard S. Danzig, physician, Little Silver, N.J., on August 20, 2008. Robert C. Clayton, real estate property manager, New York City, on October 1, 2008. Clayton is survived by his wife of 54 years, Helen (Betty); and children, William, and Tracie Clayton-Hom. Robert F. Travis, attorney, Blacksburg, Va., on August 18, 2008. Travis earned an M.A. in English and comparative literature in 1949 from GSAS. Norman R. Lucia, retired deputy director of admissions, Colorado Springs, Colo., on July 13, 2008. Edgar A. Raynis, chaplain, Portland, Ore., on July 5, 2008. 1950 Duncan R.J. MacLeod, retired CIA security officer, Arlington, Va., on September 7, 2008. Arthur P. Roberts Jr., retired anesthesiologist, Seattle, on July 6, 2008. 1951 Russell E. James, physician, Wilkes-Barre, Pa., on August 7, 2008. William J. Athos, physician, St. Petersburg, Fla., on September 30, 2008. Peter E. Barry, physician, Cumberland Foreside, Maine, on July 5, 2008. Barry earned a degree in 1956 from P&S. John A. Blessing Jr., v.p., Ponte Vedra Beach, Fla., on July 22, 2008. Arnold Miller, professor, Tucson, Ariz., on August 22, 2008. Miller earned a Ph.D. in 1968 from GSAS. Leo L. Ward, businessman, Pottsville, Pa., on May 19, 2008. Eugene M. Wasserman, pediatrician, Mamaroneck, N.Y., on August 11, 2008. 1954 Bernard L. Varney, retired IRS agent, Memphis, on May 14, 2008. 1955 Roland R. Brown, retired editor, Bethesda, Md., on September 23, 2007. 1958 Ralph D. Feigin, pediatrician, Houston, on August 14, 2008. Serge F. Angiel, ski patroller, Springfield, N.J., on August 27, 2008. Richard H. Jones Jr., Kingston, Wash., on July 26, 2008. 1961 Richard F. Horowitz, attorney and firm partner, Bloomfield, N.J., on September 11, 2008. Horowitz earned a degree from the Law School in 1964. 1962 Thomas C. Shapiro Sr., geologist, computer engineer and photographer, Dickerson, Md., on July 21, 2008. 1967 Richard N. Adams, attorney, Ridgefield, Conn., on August 4, 2008. James R. Quattrocchi, certified financial planner, North Kingstown, R.I., on July 15, 2008. Quattrocchi earned a degree in 1970 from the Business School. Gerald A. Zawadzkas, former NFL player, physicist, Albuquerque, N.M., on September 3, 2008. 1973 Peter Lewis, environmentalist, Arcata, Calif., on August 26, 2008. 1999 Aaron G. Palmer, financial analyst, New York City, on April 29, 2008. Feodor S. Kovalchuk, pastor, Canfield, Ohio, on April 22, 2008. Rt. Rev. Mitred Archpriest Kovalchuk was born on March 5, 1924, in Wakaw, Saskatchewan, Canada, and moved with his family to Holdingford, Minn. Kovalchuk studied at Concord State College in Athens, W.Va., before transferring to the College and St. Vladimir’s Orthodox Theological Seminary, also in NYC, from which he graduated in 1946. He was ordained in 1948 and held several assignments until February 1, 1952, when he became pastor of Nativity of Christ Church in Youngstown, where he served until his death. Kovalchuk did postgraduate work in education at Loyola (Md.) and earned an M.A. from Western Reserve in Slavic and East European studies. He taught at Youngstown University, Mount Union College and two high schools and was a visiting instructor at Westminster College. He was predeceased by his wife, Matushka Anya, in 2007, as well as a daughter, Natalia, and sister Nadia Sowa. He is survived by his daughter and son-in-law, Basilissa and Bob Hepburn; son and daughter-in-law, Serge and Sabrina; and a nephew and his family. Memorial contributions may be made to the Father Kovalchuk Memorial Fund, Nativity of Christ Orthodox Church, 727 Miller Street, Youngstown, OH 44502. Edward L. Jaworski, retired construction executive, Elizaville, N.Y., on August 20, 2008. Born in Classon Point in the Bronx, Jaworski was a veteran of WWII. He entered with the Class of 1946 but earned a B.S. in 1949 from the Engineering School. Jaworski worked at Columbia in the ’60s and ’70s and was in charge of the Office of New Construction, with responsibility for all new buildings on the Morningside and medical campuses, including 560 Riverside Drive and the Bard Haven apartments. Longtime friend Peter Krulewitch ’62 met Jaworski when the former was assistant construction super of 560 Riverside Drive and said of him, “Ed was a big man, soft-spoken, very strong and as good a construction man as any in his profession.” Krulewitch also noted that Jaworski was “one of the best water polo players of his generation. He was the oldest player on the Olympic team in 1952 in Helsinki. I once asked Ed how good he was, and despite his modesty, he said simply, ‘I was the best.’” Upon retirement, Jaworski moved to Columbia County, N.Y., where he designed and built a home on a 200-acre farm. Carlo P. Crocetti, retired military officer, Western, N.Y., on June 23, 2008. Born on March 12, 1928, in Bogota, N.J., Crocetti attended Bogota Elementary School and Horace Mann School for Boys. After the College, he earned a master’s in 1949 and a Ph.D. (in psychology) in 1951, both from GSAS. Crocetti entered the Rome Air Development Center in July 1951 as a first lieutenant, USAF. He retired from RADC in May 1990 as director of plans and a member of the Federal Senior Engineer Service. Surviving are his wife, Shirley Foster Mills Crocetti; son and daughter-in-law, Philip and Melissa; one granddaughter; sister, Emma Yazmajian; nieces; and nephews. Memorial contributions may be made to the American Cancer Society. James P. Cooney, retired USAF colonel, Niceville, Fla., on May 3, 2008. Cooney was born in Newburgh, N.Y., on April 27, 1928. He majored in math and economics at the College before entering the Air Force Aviation Cadet Program in 1949. During his 27 years in the Air Force, Cooney flew a variety of air defense aircraft, including the F-94C, F-101 and F-4E. He was on the crew at Edwards AFB that set nine world speed and altitude records in 1965. In 1971, Cooney was assigned to the 432nd Tactical Fighter Wing at Udorn, Thailand, and flew 186 combat missions, including 126 missions over North Vietnam. He was awarded the Silver Star, six Distinguished Flying Crosses and more than 20 air medals. Upon his return from Southeast Asia, he was assigned to the Pentagon until his retirement in 1977. He then worked for Raytheon until his retirement in 1993. Cooney was predeceased by his wife, Martha “Marty” Elizabeth Nielsen, and is survived by his children, Barbara, Chris, and William and his wife Vicki; four grandchildren; Patricia Gooding, his companion; and her daughter, Melissa. Memorial contributions may be made to Covenant Hospice, 101 Hart St., Niceville, FL 32578. Charles B. Tulevech Jr., retired ophthalmologist, Morehead City, N.C., on March 23, 2008. Born on July 9, 1927, in Elizabeth, N.J., Tulevech attended Townsend Harris H.S. in NYC. Enrolled in the College at 16, he was too young to enlist in the armed services during WWII and instead joined the 6817th Special Service Battalion in the European Theater of Operations, entertaining troops overseas. After the war, he returned to Columbia, receiving his bachelor’s and then an M.D. in 1956 from P&S. For 32 years, Tulevech practiced medicine in Port Jefferson, N.Y., where he was chief of ophthalmology at Mather Hospital and St. Charles Hospital, and clinical professor of surgery (ophthalmology) at State University Hospital in Stony Brook, N.Y. He founded Long Island Eye Physicians & Surgeons. While living in nearby Old Field, N.Y., Tulevech was an Old Field Village trustee for 14 years. He is survived by his wife of 51 years, Peggy; daughter, Susan ’86 Business; sons, Charles III ’85 and Steven; and seven grandchildren. Joseph R. McCormick, sales and marketing executive, Cocoa Beach, Fla., on April 12, 2008. McCormick was born in Bay Shore, N.Y., in 1927 and attended George Washington H.S. in NYC. He served in the 467th Army Air Force in WWII and was stationed in the Pacific. McCormick earned degrees in 1951 from the Engineering School and in 1958 from the Business School (Theta Tau fraternity). He worked for Westinghouse Electric International in NYC and Westinghouse Electric in Pittsburgh. McCormick’s career culminated in being v.p. of sales and marketing for Airco Speer Corp. He later moved to Binghamton to be v.p. of Magnetic Laboratories. McCormick enjoyed golf, home improvements, gardening and baseball. In his last years, he pursued family genealogy. McCormick is survived by his wife of 50 years, Joan Bowen McCormick; in-laws, John and Deborah Bowen, and Barbara Yee; daughter, Leslie Starkey and her husband, Steve; sons, Jonathan and his wife, Cecilia, David and his wife, Susan, and Robert and his wife, Julie; 11 grandchildren; nine great-grandchildren; sister, Catherine Callahan; brother, Fredrick; and nieces and nephews. Memorial contributions may be made to Space Coast Medical Associates, Moffitt Cancer Center, Hospice of St. Francis or a charity of the donor’s choice. Eugene A. “Gene” Manfrini, musician and piano expert, Queensbury, N.Y., on June 23, 2008. Born on September 20, 1928, in Mount Vernon, Manfrini was blinded in a medical accident when he was 3. At 5, he was enrolled at the Institute for the Education of the Blind, and in his 14 years there learned the piano, violin and organ and became an honor student. At 12, Manfrini took up wrestling and won the Junior and Senior Metropolitan AAU titles. Manfrini entered the College, undertaking “general studies,” which the College required in order to prove himself. In February 1949, he was officially admitted, and he resumed wrestling. After graduating, Manfrini went back to his high school, took up piano tuning and built his tuning and rebuilding business, later counting clients such as Irving Berlin, Arthur Rubenstein, RCA, Columbia Recording, Frank Loesser, Harold Arlen, Thelonius Monk, Dave Brubeck, Andre Kostelantz, Roseland and Julliard. He also played with his group The Mood Men. Manfrini is survived by his wife, Mary Ann (Miorin) Manfrini; sisters, Nina Kalish and Roseanne Carbone; and daughters, Liza Abate and Marilyn, and their families. Memorial contributions may be made to Freedom Guide Dogs, 1210 Hardscrabble Rd., Cassville, NY 13318. Norman Marcus, attorney and NYC zoning expert, New York City, on June 30, 2008. Born in the Bronx on August 31, 1932, Marcus earned a law degree from Yale in 1957. He joined the New York City Planning Commission in 1963 and for 20 years was its general counsel. In that capacity Marcus drafted much of the legal language intended to preserve the historic character of many of NYC’s neighborhoods while still allowing new construction. Marcus was an architect of inclusionary zoning, which offers tax breaks to luxury housing developers if they set aside a portion of their building for low- or middle-income residents. Inclusionary zoning started in Manhattan in the 1970s and now helps promote mixed-income neighborhoods in many sections of the city. Among Marcus’ other accomplishments was drafting the “loft law,” which legalized artists’ occupation of loft spaces in what had once been mostly manufacturing districts. After leaving the commission in 1985, Marcus went into private practice and also taught zoning law at NYU, the Cardozo School of Law, Pratt Institute and the architecture school at Princeton. He is survived by his wife, Maria Lenhoff Marcus; daughters, Valerie and Nicole; son, Eric, son-in-law, Peter Miller; and four grandchildren. Michael E. Berniker, music producer, Hillsdale, N.Y., on July 25, 2008. Born in Brooklyn on June 30, 1935, Berniker studied music and philosophy at the College, then served in the Army for two years at Fort Bliss, where he had a local radio program and organized a jazz festival. In 1960, Berniker enrolled in an in-house A&R (artists and repertory) training program at CBS Records. One of his first projects was a jazz series on Epic. Best known for producing the first three Barbra Streisand albums on Columbia as well as numerous Broadway cast albums, Berniker also produced Latin jazz, spoken word, comedy and classical records. After leaving CBS in 1968, he was an executive with several major record companies, including RCA. Returning to CBS in 1977, Berniker originated the Columbia Jazz Masterpieces series. He won nine Grammys. Berniker is survived by his wife, Heather; son, Mark; daughter, Judy Powell; and two grandchildren. Ernest E. Sawin, a retired project manager, Rochester, Mich., on April 4, 2008. Sawin was born on November 27, 1938, in Leominster, Mass., and was valedictorian of his Leominster H.S. class. Sawin attended the College on a scholarship and was a member of Beta Theta Pi and the football team. He earned a B.S. in 1961 from the Engineering School and an M.S. in 1962 from the University of Colorado, both in chemical engineering. Sawin had a 35-year career with DuPont as a chemical engineer, operations superintendent and project manager. He received DuPont’s Safety, Health, and Environmental Excellence Award; Engineering Excellence Award; and Polymer Products Safety Excellence Award. Sawin, an avid downhill skier, is survived by his wife of 43 years, Jane; sons, John and his wife, Grace, and David and his wife, Heather; three grandchildren; and sister, Betty Callahan and her husband, Paul. Memorial contributions may be made to Lewy Body Dementia Association Inc., PO Box 451429, Atlanta, GA 31145-9429. Thomas W. Twele, physician, Anniston, Ala., on March 20, 2008. A native of Queens, Twele received his M.D. from Duke and did residencies at SUNY Syracuse and The University of Texas Medical Center. Twele served at Kirk Army Hospital, Aberdeen PG, Md., and from 1970–71 in Vietnam in a mobile medical unit. He did further study in hematology-oncology under a fellowship at The University of Oklahoma Health Sciences Center. Early in his career, with Dr. M.T. Shaw, Twele published “Plasma Cell Leukemia; Detailed Studies and Response to Therapy” in the periodical Cancer. He also wrote articles on health issues for The Anniston Star. Twele practiced in Utica, N.Y., and El Paso, Texas, as well as Anniston. Twele was on the founding board of directors for Hospice in Anniston. When it opened in 1987, he became medical director and remained in that position until shortly before his death. Twele is survived by his wife, Aylmarie Uhlhorn Twele; children, Frank Ahlgren III and Elise Ahlgren Leake; son-in-law, Carter Leake; three grandchildren; sister, Diane Jensen; nephew; and niece. Memorial contributions may be made to New Beacon Hospice or to the Rector’s Discretionary Fund at The Church of St. Michael and All Angels. Robert D. Caldwell, retired publishing executive, San Antonio, Texas, on July 10, 2008. Caldwell attended high school in Ridgewood, N.J. Upon graduation from the College, he went to work for the publishing firm Harcourt Brace Jovanovich. Except for several years at St. Martin’s Press, Caldwell worked at Harcourt until he retired in 2003. He moved to San Antonio in 1986 to work for Harcourt’s Psychological Corp., staying there until his retirement. Caldwell is survived by his wife, Joanna; mother, Mary; and brother, Stephen. Memorial contributions may be made to the American Cancer Society or Rainforest Alliance. Robert Musicant, attorney, Wilton, Conn., on August 3, 2008. A resident of Connecticut since 1984, Musicant maintained a private law practice in Norwalk. Musicant earned a B.S. at the College, a Ph.D. from the University of Oklahoma in biological psychology and a J.D. from UCLA. He worked in a variety of legal fields, including the representation of poor and underprivileged individuals seeking to obtain or protect social security disability benefits. After contracting an autoimmune disorder, Musicant devoted substantial time and resources to investigating treatments of these conditions and in that capacity served on the executive board of the Lupus Foundation of America, Connecticut Chapter. Musicant’s passions were traveling with his wife, Aurora, and chess. He played competitively for many years and in 1990 organized a chess club for children at the Norwalk Public Library, along with a friend. He was a chess tournament director and a founder of the Norwalk Knights Chess Club. Musicant was a frequent contributor to the letters to the editor pages of several newspapers, including The New York Times. In addition to his wife, Musicant is survived by a sister, Judith. Memorial contributions may be made to APS Foundation of America. Peter Christopher, professor and writer, Statesboro, Ga., on April 15, 2008. Christopher earned a B.A. in literature and an M.F.A. in fiction writing from the University of Florida. He was a writer-in-residence for the Writers Voice Workshop and a guest lecturer at Columbia, NYU, Florida, and Portland State’s Haystack Program in the Arts. Christopher curated reading series for the New York Public Library and La Mama La Gallerica Second Classe. He joined the faculty of the Georgia Southern Writing and Linguistics Department in 1998, where he helped built the creative writing program. In 2001, Christopher won the Dorothy Golden Excellence in Teaching Award. He authored three books, and his fiction appeared in numerous journals and anthologies. Christopher received a National Endowment for the Arts Fellowship in Literature and a Grinter Fellowship from the University of Florida. He also was an award-winning newspaper reporter and columnist. Christopher is survived by his wife, Carolyn Altman; child, Colby Parker; parents, Frances Caron and Robert Maroni; and sisters, Susan Solari and Sarah Maroni. Memorial contributions may be made to Peter Christopher Creative Writing Fund (#0775), Georgia Southern University Department of Writing and Linguistics, PO Box 8053, Statesboro, GA 30460. Michael J. Feldman, real estate executive, Hastings-on-Hudson, N.Y., on December 29, 2007. Born in Philadelphia, Feldman attended Lower Merion H.S. in Bala Cyn­wyd, Pa. At the College, he majored in philosophy and economics and was a member of the freshman lightweight crew. Feldman earned an M.B.A. from Chicago in 1998 and worked for the Boston Consulting Group until 2000, when he joined a New York real estate company. Eventually moving into private equity, he worked for Intrepid Capital until his death. Feldman is survived by his wife, Karen Schwartz ’93 Barnard, daughter, Sarah; son, Benjamin; parents, Sue and Arnold ’58; and brothers, Dave and Ed. Memorial contributions may be made to the Fund for Lung Cancer: The Bonnie J. Addario Lung Cancer Foundation c/o White Space, Inc., 601 Fourth St., Ste 215, San Francisco, CA 94107 or to The Sarah and Benjamin Feldman Education Fund, Smith Barney, Attn. : Rachel Schwarz, 150 JFK Pky, 4th Fl., Short Hills, NJ 07078. Jesse W. Thompkins III ’03 Jesse W. Thompkins III, film assistant, Brooklyn, on August 3, 2008. Thompkins entered with the Class of 2003 and earned his degree in 2006. He was born on October 26, 1981, in Washington, D.C. Thompkins transferred from SEAS to the College to study film and traveled to Beijing on a Zeidman Fellowship. A member of the track team, he clocked the third best time in school history in the 100m (aided by wind). Thompkins worked on a number of films, including Spike Lee’s Inside Man, Steven Spielberg’s Munich, and Michael Clayton. Most recently, he was an assistant to writer-director Adam Brooks on Definitely, Maybe. 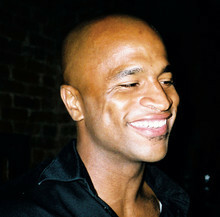 Thompkins also wrote and directed a number of original shorts and was in the midst of a move to Los Angeles to shop his first feature screenplay. He is survived by his parents, Jesse W. Jr. and Judith A. Layne Thompkins; sister, Najila; and grandmothers, Cora Thompkins and Joan Murphy. Memorial contributions may be made to Jesse Thompkins III Foundation for Young People in the Arts c/o Chevy Chase Bank, 925 15th St. N.W., Washington, DC 20005. Working Title Films will be underwriting an annual screenwriting award in Thompkins’ name. 622 W. 113th St., MC 4530, 6th Fl.